You can find Annie here and here on Ravelry. It comes from all sorts of places. 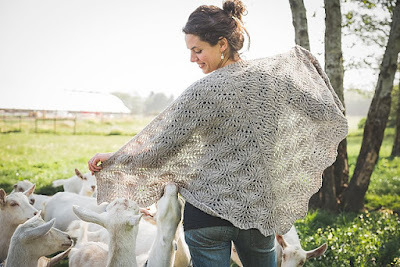 Often just the raw need for a particular garment or accessory to be in my closet, or sometimes a particular stitch pattern calls me to explore it, but I’d say for the large part it will be the yarn that guides the journey of what it wants to become. 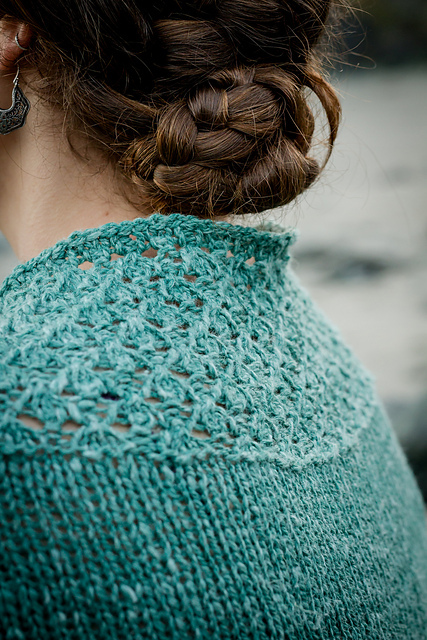 One of my most favourite patterns of last year was actually quite a stressful time as I was trying to force the yarn into a design that wasn’t quite working, but, on a deadline, I kept pushing until I was almost at the bind off, only to rip it out completely and start afresh. The final Stories from Snoqualmie Shawl, full of cables and garter stitch, was exactly where that yarn wanted to be. This is a tough one! I go through phases of exploring techniques as new designs challenge them. But I have to say that getting to know different ways to cast-on and bind-off is particularly fun for me! It’s incredible how the different techniques can add so much to your final garment. Like many things in knitting I’m still learning this as I go. My first ever cardigan design I published had 12 sizes, in the hopes of offering a size for everyone, and also the challenge of grading all those numbers! Not perhaps necessary, but I learned a ton. 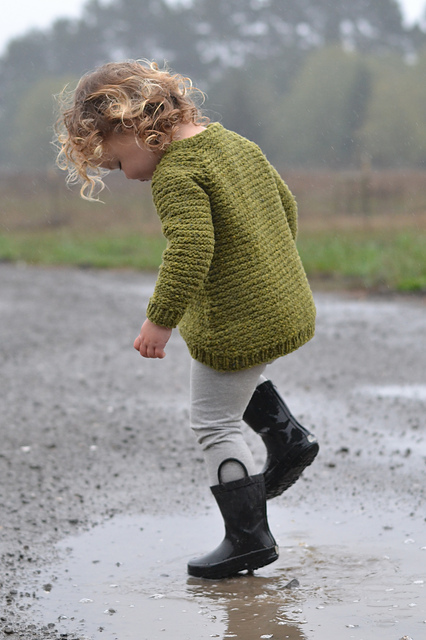 I write children’s patterns with my good friend Ashley Yousling under the name Little Woolens, and we began writing patterns 0-4yrs, only to learn that knitters wanted at least up to size 10-12yrs. So using our wonderful customers as a guide that is the range we now focus on. Of course stitch patterns and pattern repeats often influence how many sizes are possible, but I like to write up a wide range to make the pattern accessible for everyone. Similarly for accessories, hats, mitts etc, if more than one size is possible, I’ll write them up. Yes, I think this can be a worry for many designers, however I’d say that I am more so inspired and encouraged when looking at other peoples work than fear I might be influenced. I trust that my work is from my own creative spirit and that at the end of the day what we each produce, if designed from the the honest creativity we all have, then the outcome will be unique and your own. I really enjoy working alongside other designers and seeing what they’re up to - like I said, its a great source of inspiration for me! I think this is a totally personal issue for the designer. You could say it’s a business decision. I feel although I write patterns whichever way I want to, I can definitely recognize that there are some designs which folks are perhaps hesitant to cast on because of the complexity. However, when a knitter conquers those fears of a more complex pattern and ends up with a finished project that they previously thought they couldn’t master, its the best feeling ever!! My designs are such a reflection of where I’m at in life - if I’m longing for simple knitting then I’ll design a comfortable pattern, but then at times when I’m looking for a challenge who knows what I’ll conjure up!! I do most work all by myself, and only hire sample knitters when I my schedule doesn’t allow for all the deadlines to be met. 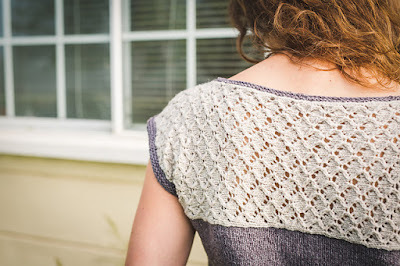 Sample knitting is still something I’m still exploring, and I miss being able to do all the knitting myself, but sample knitters are a great tool and I hope that I build more confidence in leaving the knitting part to others! No! Haha! How my design work started and has grown has been very organic. I’ve gone with the flow, so to speak. In my ‘other life’ I am a dairy farmer and mother which also has it’s ebbs and flows, and my knitting has to fit in with it. Having said that, this year I do have a few short term and long term goals which will hopefully keep me on somewhat of a path! What is more important to me is staying true to what I enjoy and believe in. I strive to support local and domestic fibers, or organic fibers, and natural dyes. I can only cram so much knitting into my life and from a farmer stand point I love to work with yarns that I know exactly where they came from, and hopefully support the hard work of fellow farmers/growers/mills/dyers. We are in a wonderful time in the industry where this interest is growing and there are so many transparent yarns to choose and learn from. I encourage everyone to be mindful, and question where the yarn you are knitting with came from!! I’m a self taught knitter, so initially I would say that I don’t really have a mentor. However realistically, even though she doesn’t know it, Susan B Anderson was my first mentor! I learned to knit from her Itty Bitty Hat book. I found it at the library while living in Finland! Other great teachers and authors have been Elizabeth Zimmerman, Barbara Walker, Shirley Paden and June Hemmons Hiatt. Out of the pages my biggest influences are close friends Ashley Yousling and Andrea Mowry, but everyone I seem to come into contact with in this wonderful knitting world can have an influence on my work. It’s amazing and so, so wonderful that even someone who might consider themselves a ‘beginner’ may have a technique I haven’t come across before, or a way of looking at a problem I hadn’t thought of. Only that I must have fun, and stay true to myself and keep in line with what I love and respect. As much as I want to be successful, I don’t want to do it at the expense of cramming in too much work, stressing over deadlines, or working with companies that I don’t align with. Sometimes it’s tough to see others with what seems like all the knitting time in the world. Not only do I know that social media can extremely suggestive, but I know that my journey is my own and I shouldn’t and can't compare myself to others. I try to keep in touch with my truest dreams and desires, and I’m very conscious of avoiding the feeling of being expected to ‘perform’ and crank out patterns. Yes! I couldn’t do what I do without my wonderful tech editors. In a way they are also my mentors! I learn something new from them every pattern we work on. They are also a great sounding board, if I have an issue I just can’t get my head around, they brain storm with me and often bring something to the table I hadn’t thought about. Its very easy to be ‘too close’ to a design! Oh, the ongoing challenge! I’m lucky that my life is very flexible and I can find pockets in most days to spend on my design work. However there are seasons of the year where the farm work is heavy and I long to be with my needles, and vice versa. Knowing that these phases come and go is what makes those ‘unbalanced’ times easier. Learning to say “no” has been a big turning corner in my design work in helping to maintain a balance - my two year old will only be little once! We are very lucky that knitters are some of the most supportive and encouraging group of people!! But everyone once in a while I’ll come across a negative tone. 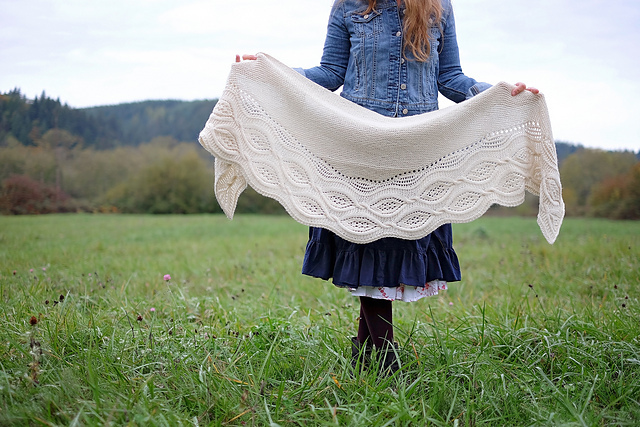 I learned a long time ago that you cannot please everyone, as much as I might try, and knitting is a very personal thing, and if a customer isn’t jiving with one of my patterns I’m not going to get offended or get upset about it. It’s also pretty entertaining to recognize that the stronger worded messages or emails often come after a knitter has struggled with a particular part of a pattern and in their frustration (oh don’t we know what frustration well!) sent a hasty email. And then the remarkable difference in tone the following messages have, once we have worked out the problem and they’re happily back on their way! Follow your dreams, remain open to all opportunities and who knows what might come round the corner! Don’t compare yourself to others, but focus on making sure that you are enjoying your OWN journey. Also, ask for help, fellow designs and knitters are often extremely open in helping and guiding you along your way! They are a great resource in learning about things that might be a mystery to you! There really is room for everyone in this industry!!! Annie is one of my favorite designers. Loved this interview!